This is one of those books that you wish you had read in your early years of photography but if you had, you wouldn't have appreciated at that time. Sometimes you need a deeper understanding of something to see the obvious. In this case, the book makes the connection between the photographers vision and manipulating the image to achieve that vision. Unless you appreciate the importance of developing a vision for your work it's likely that you would approach this book with the wrong mindset. What you would probably find is that you would be looking to learn new techniques but this author would have been hammering home his message about developing your vision. This is a really good well written book that explains how a professional photographer goes about developing his vision through Lightroom. 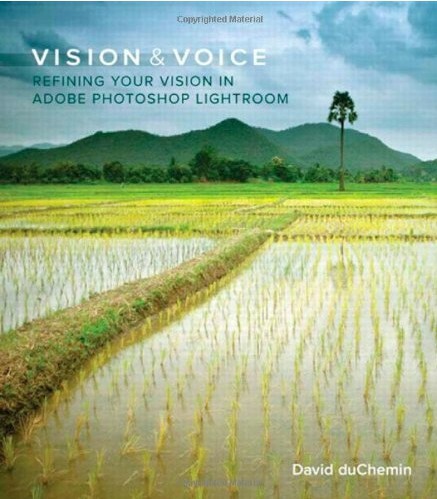 As I say above, there is a strong link between vision and image editing; a point well made by the book. How can you expect to create a successful image adjustment if you don't have a vision for the finished product. The book is well illustrated. It has lots of examples that walk you through the entire editing process. The author even makes the RAW files available for download so that you can follow along with the text. The only downside to the book is that it's exclusively for Lightroom users. Whilst the text is very valuable in helping understand the creative process, the bulk of the book is undeniably how to realise that vision within Lightroom. Great for Lightroom users but it might not suit everyone. It would be good to see a more generic version that explains how to develop a vision and then realise that with a range of photographic tools.